At this time I am offering all my services except Natal Chart readings and Update readings. All other services are available. As a result of an overwhelming demand I have a large backlog of requests for Natal and Update readings. Thus I have temporarily halted taking new clients for those service only. I will resume after I have cleared that backlog. But I repeat all other services are available. If you have to quickly make a strategic or tactical decision then I suggest that the best tool is Prasna, which focuses exactly on that problem and can be answered in a very short time. "Shyamasundara's calculations are rarely, if ever, wrong." 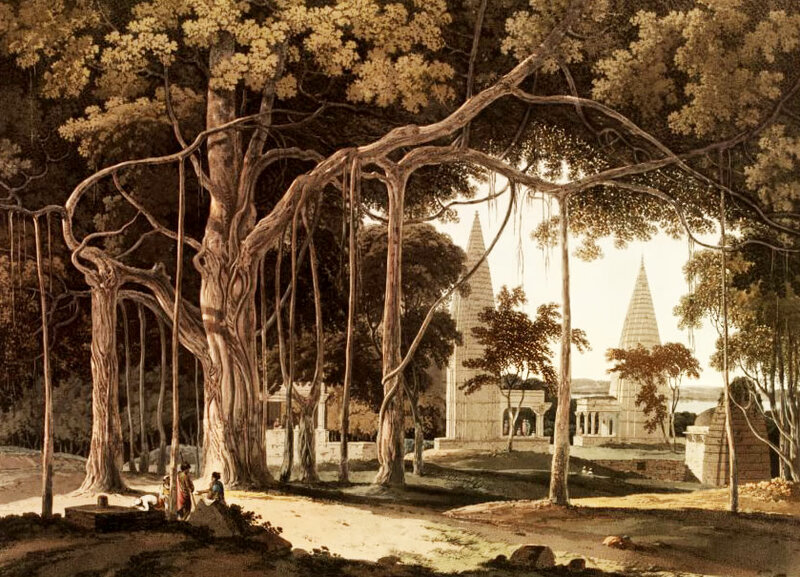 Indradyumna Swami, Diary of a Traveling Preacher; Volume 5, Chapter 3, paragraph 6. Changes in life, career, finances . . . big decisions (spiritual or material) call for expert advice. When facing these challenging questions, you don't always get a second chance, which is why it pays to get special help. The right answers can make all the difference in the world. Shyamasundara Dasa reveals the wisdom of Vedic Astrology, so you can make the most of your future. Consult with him in person, email, or phone. Knowledge is power! Get the answers to guide your destiny. Shyamasundara says: "Expect insight, understanding, and the answers to your questions." Satisfaction Guaranteed. See client comments. References are available on request. Special Report: What is Vedic Astrology? This consumer's guide spells it out, so that anybody can understand: how it works, different kinds of readings, what astrology can do--and how to get the most from it, Western versus Vedic astrology, how to choose a good astrologer, etc. Method of Payment: We accept Visa, Master Card and money orders. To recognise the transaction on your credit card statement the billing descriptor will be "Shyamasundara Dasa." All transactions are in US $ dollars. If you do not have a credit card you can send money quickly using Moneytis. Because ours are not computer generated readings but actually done by a live person (me) your jyotish service request is not handled automatically in real-time on the Internet like most Internet transactions you have experienced. Hence, you are not billed immediately. When it comes time to fulfill your request, then and only then, I do a pre-authorization of your card on a virtual terminal to make sure the funds are available and validate the credit card. Then, after the service has been performed and we have sent you your report either via an email or as a downloadable MP3 do I actually capture the funds that are then debited from your account and deposited into mine. Thus, you are only billed after the work has been completed. You can cancel at any time before I begin to do your reading, but once I start it is too late. Delivery: We no longer ship by post only digitally via e-mail or MP3 download. My clients consider a consultation with me to be an investment in their future that pays for itself countless times over rather than a cost. Your investment will vary according to what you request. The following lists some of the various of consultations that we provide with a hyper-link briefly explaining what the service entails. After you decide what kind of service you want you can place a request or contact us for more information. These are only indicative of the services that we provide. If you don't see something that fits your needs, please ask. We will try our best to accommodate your circumstances. For more information on how to choose a good astrologer and how to utilize the power of astrology read: What Is Vedic Astrology? Please note that cancellation or rescheduling of a telephone or personal appointment must be made at least 24 hours in advance or there will be a $50 service charge. Please make sure that your credit card is able to do international transactions. If not the transaction will be blocked and there will be a delay while you get it unblocked. The following is subject to change without notice. When you make your request for services you will be sent to a encrypted webpage on a secured server certified by Comodo. Different browsers indicate that you are on a secured server in different ways (displaying a padlock or "htpps" in the URL of the secured page) be familiar with how your browser does this and confirm that the page is secure. Because these servers are encrypted they load slower, therefore we ask that you be a little patient while the process takes place. Just think of it as a small price to pay to make sure your private data is secure. 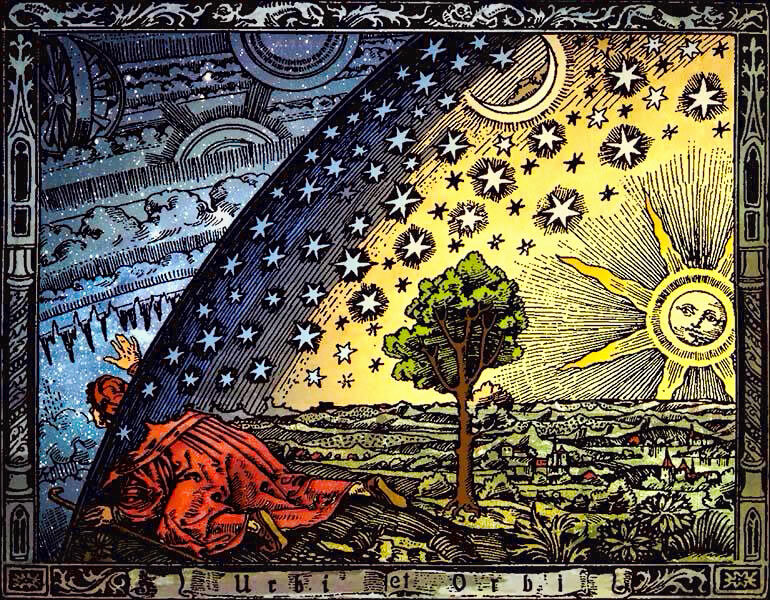 A renaissance woodcut depicting a man piercing through the sky and beholding the Cosmic Wheels of the celestial spheres. Look beyond the surface realities with the aid of the Vedic Astrology the ancient super-science. Everything is not always what it appears that is why in the Vedic culture Jyotish was considered the "Eye of the Vedas" it allowed you to see through time and space and pierce through the veil of appearances. 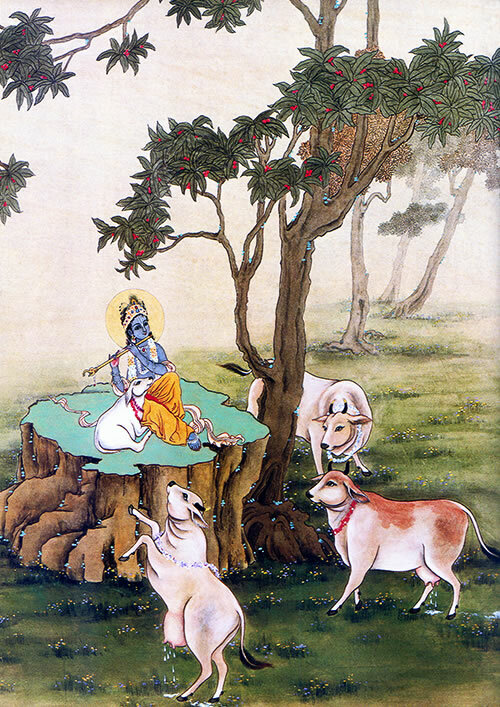 A scene from the Srimad Bhagavatam 10th Canto. 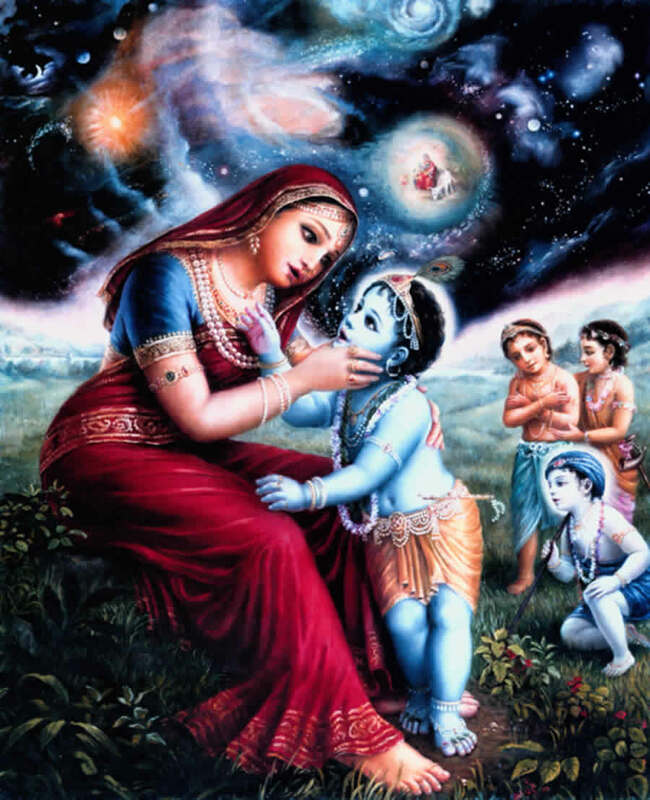 Mother Yashoda is checking to see if her son Krsna was eating mud. But, when she looks into Krsna's mouth she sees the whole cosmic creation including herself looking in Krsna's mouth. She becomes very bewildered by the whole experience. Krsna has to pacify her in such a way so that she doesn't think of Him as God and not spoil their natural loving relationship as mother and child that Krsna enjoys. Artwork courtesy of The Bhaktivedanta Book Trust International, Inc. (www.krishna.com) Used with permission.